« How Do I Study Theology? Imagine using a line graph to picture our struggle to change. Any activity below zero would indicate steps taken to battle sins like lust, greed, hatred, and selfishness. 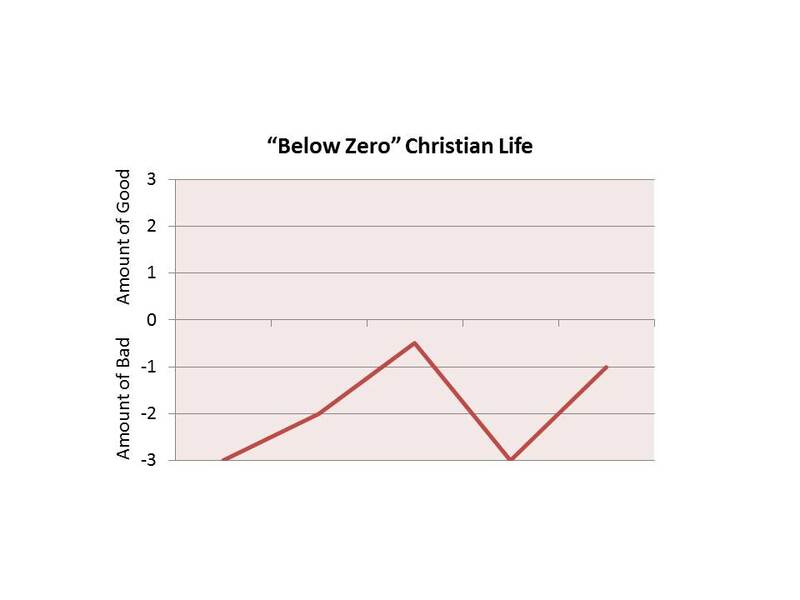 Any activity above zero would indicate steps of positive obedience like prayer, witnessing, serving, and giving. All of that has merit. But I’ve come to believe that the battle for Christian obedience can never be won this way alone. Romans 12:21 explains: “Don’t let evil conquer you, but conquer evil by doing good.” In other words, over­whelm and override your temptations by filling your life with bold, positive obedience to Christ! This means that acts of service and evangelism, focus on missions and revival, passion to see the world transformed by the glory of God, faith-filled prayer, and all other steps motivated by faith and love are some of our best weapons against sin. It’s a kind of spiritual paradox—we don’t defeat sin by exclusively focusing on fighting sin, but also by filling our lives with good. In order to put this principle to work, we have to stop assuming that our lives must be “cleaned up” in order to start serving, sharing, or stepping out to do what is right. If we don’t, we are waging this war for change on Satan’s territory, where he has the advantage, instead of leapfrogging his paralyzing tactics of guilt and shame. Of course, I’m not saying you should stop striving to be holy and sinless. But let’s open up another front in our fight to change—let’s initiate action on the other side of our graph, in the positive territory of faith and action! Doing so will fill our lives with what matters and what motivates, and will crowd out a lot of the junk that currently bogs us down. Instead of our spiritual struggle being all about us (our problems, our bad choices, our habits, our needs), it will become about the larger purposes of God with the people all around us. Against this sort of warfare, our Enemy has no effective defense. Against prayerful, passionate, loving, committed, serving believers, he and his minions face certain defeat. He wants to drag the conflict back into his territory and have you “struggling to overcome” for the rest of your life. He wants you to say, “Once I get my life straightened out, I can get serious about serving God.” He wants you to say, “I’m not ready yet.” His whole battle plan depends on it. He has you right where he wants you! Deny him the advantage of setting the terms for your conflict. You launch the attack! Start a Bible study at work. Invite your neighbors to church. Volunteer to serve your community. Give sacrificially to missions. Ask your pastor about discipleship training. Practice hospitality in your home as a way to share your faith with unbelievers. Start a revival prayer group. Hit the Enemy hard where it hurts most by shaking the foundations of his evil kingdom. As a believer in Jesus Christ, you have access to the same incredible power that raised Jesus from the dead; there’s no reason for you to spend the next year of your life below zero. You were saved for much more than that! Make a list of positive obedience possibilities. Start praying for revival and missions. Enlist a friend to serve with you. Form a group to identify and address enemy strongholds in your community. Expect fierce counterattacks—and trust God to bring you through them. This piece originally appeared in Life Action’s Revive Magazine. Read the whole issue on “how to change” here.